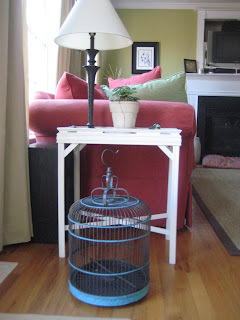 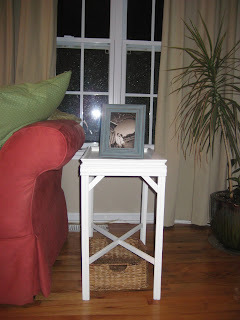 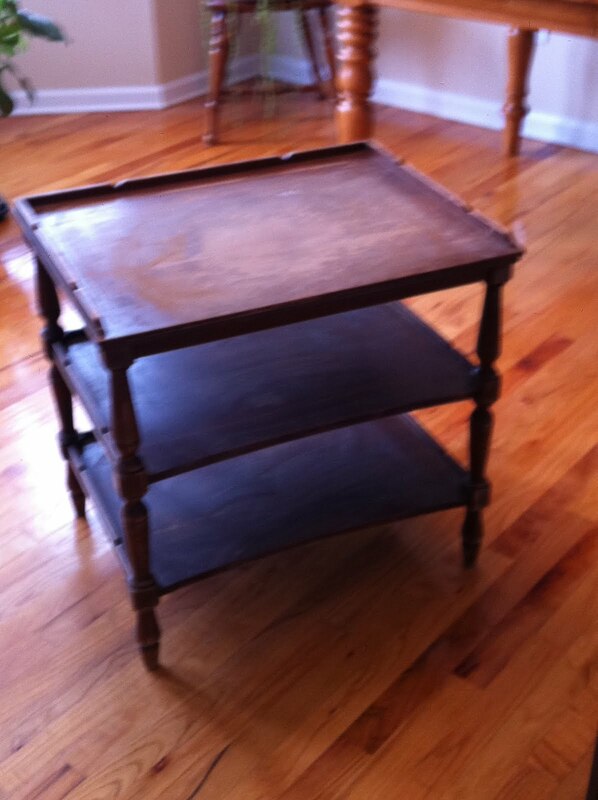 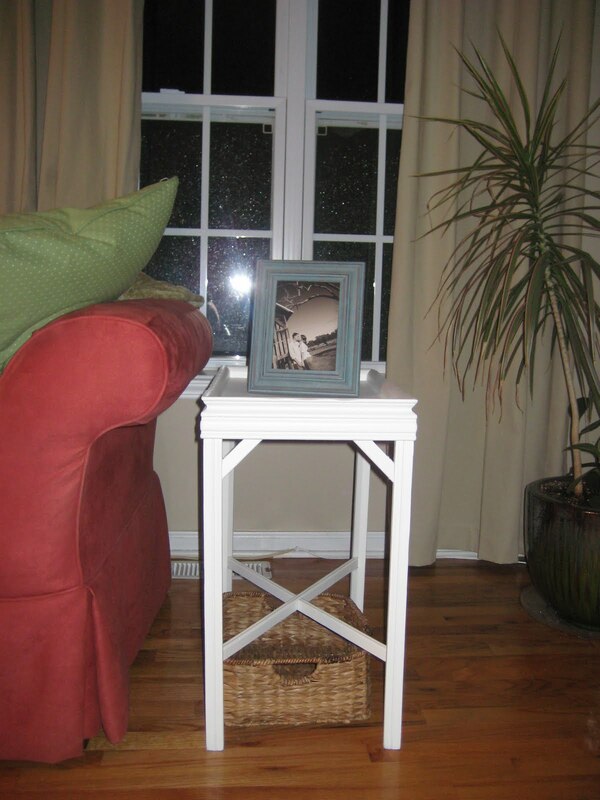 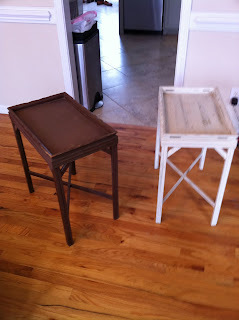 After Christmas I had three side tables that needed refinishing. Two are almost identical matches and I wanted to use those as side tables in the living room, the other is just a small catch all table for our foyer. 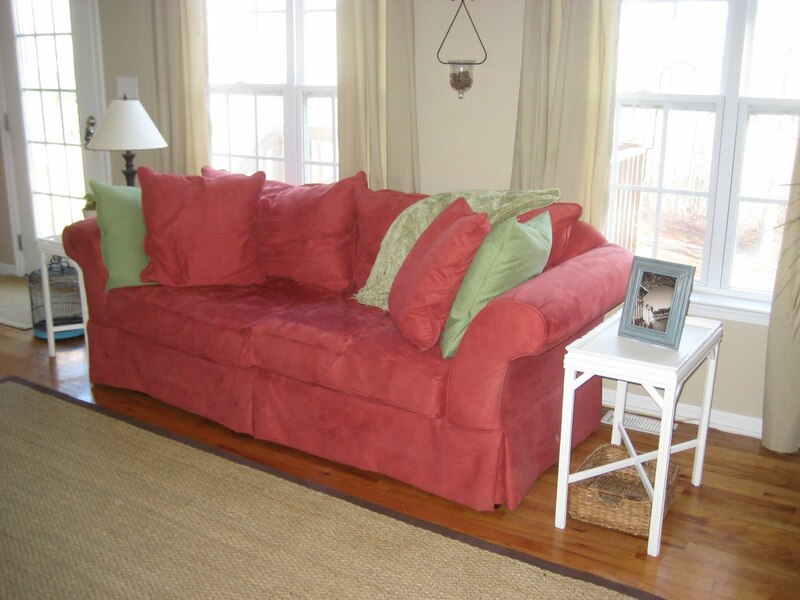 This was an easy redo, light sanding and then painted white for a clean look. I am pretty happy with the way they turned out. I like having two tables in our living room now (I was previously using the lighter one on one side of the couch). 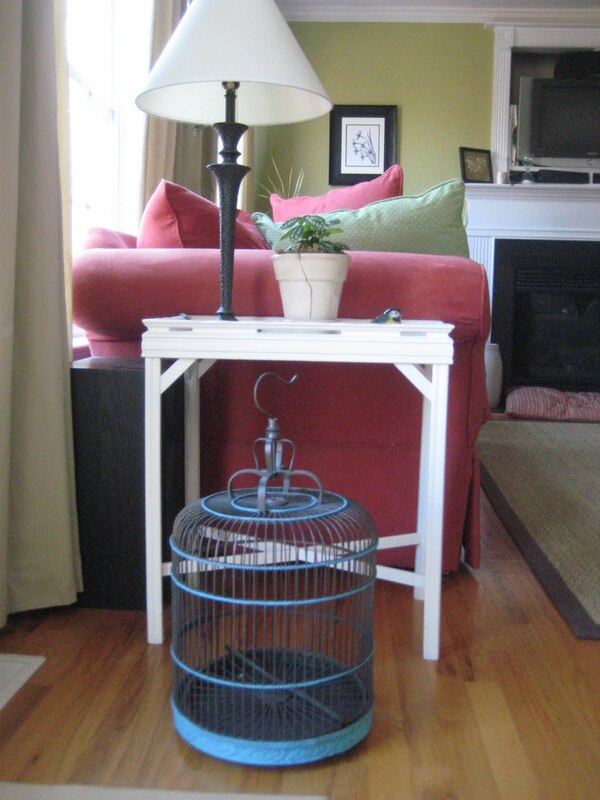 It balances the room a little better. 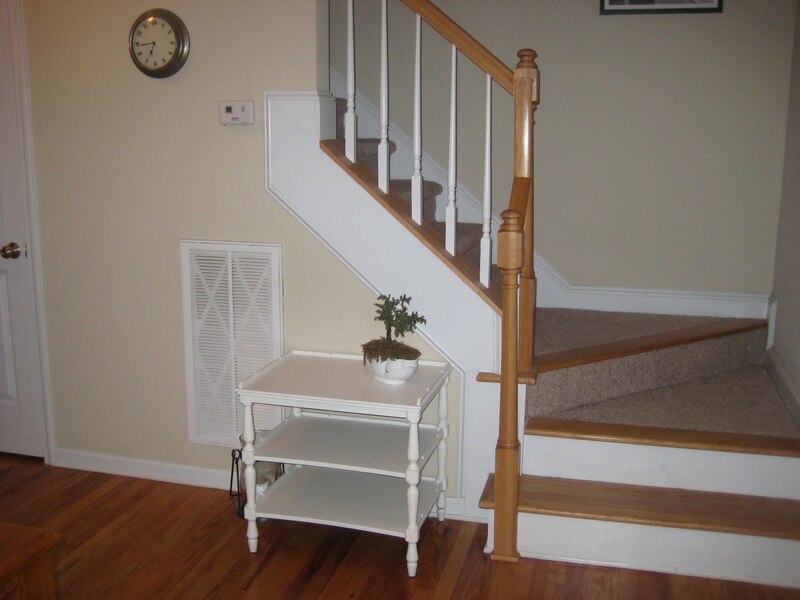 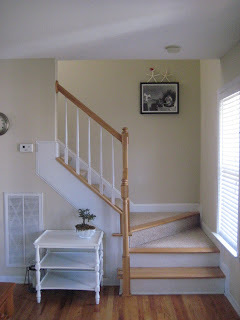 I also really like the one in the foyer, it is a good spot for me to place items needing to go upstairs. 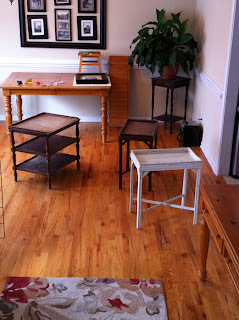 I would like to find a few baskets to put on the shelves for storing things like dog toys.